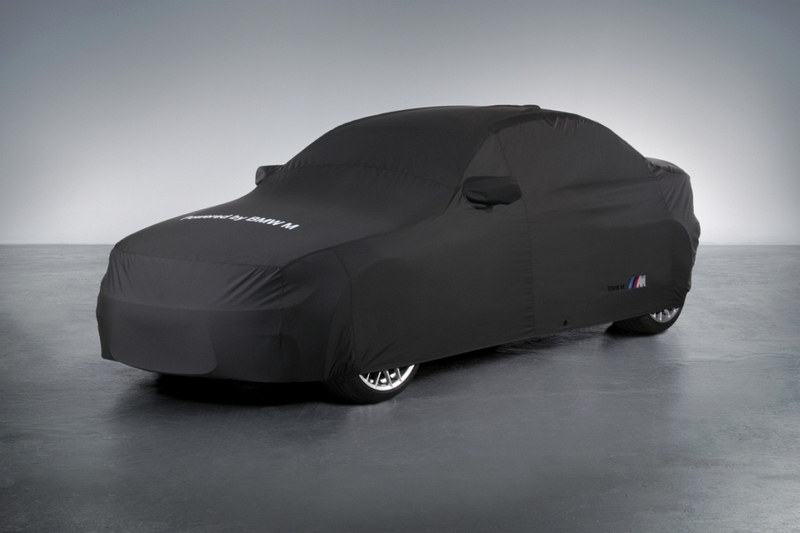 BMW of North America announces the availability of the first OEM car cover for the new BMW 1M. 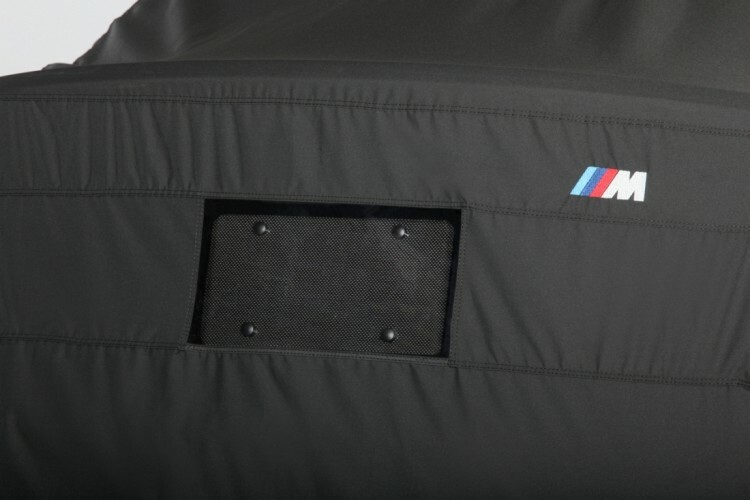 The car cover can be used for both indoor and outdoor, and it is tailored specifically for the “baby-M”. This car cover will also fit 128i and 135i Coupes (not Convertibles). There will be a limited quantity of this car cover available until a full production ramp-up occurs in October 2011. The price for the M cover is $325. Made from “Weathershield” high-performance fabric. Compact fiber – will store using 25-50% less space than conventional car cover fabrics. Weatherproof – this fabric sheds water as soon as it hits the cover. Superior Dry Time – because the fiber sheds water, “Weathershield” has only a 2% absorption factor compared to over 40% absorption by standard fabrics. A quick shake and the cover is ready to be stored dry. Breathable – no buildup of condensation is held on the paint surface. Durable – solution-dyed material with built-in UV inhibitors, including an added UV inhibitor for years of protection from the harsh sun. Easy care – this fabric can be washed in your home washer and dryer, unlike other car cover fabrics. Original BMW Accessories are warranted for the New Vehicle Limited Warranty period (4 Years/50,000 miles) when the installation occurs before the first delivery of a new vehicle. If the Original BMW Accessories installation occurs after the first delivery, the accessory will be warranted for the balance of the New Vehicle Limited Warranty period or two years and unlimited mileage from the date of installation, whichever is greater.